SUPERSTAR couple Beyoncé and Jay-Z bring their On The Run II tour to Glasgow’s Hampden Park this Saturday. The stars, who opened their joint tour in Cardiff on Wednesday, are the latest acts to come to Scotland in a summer of big gigs. Here’s all you need to know if you’re heading along. Gates at Hampden open to revellers at 5pm. The as yet unannounced support act takes to the stage at 7pm. 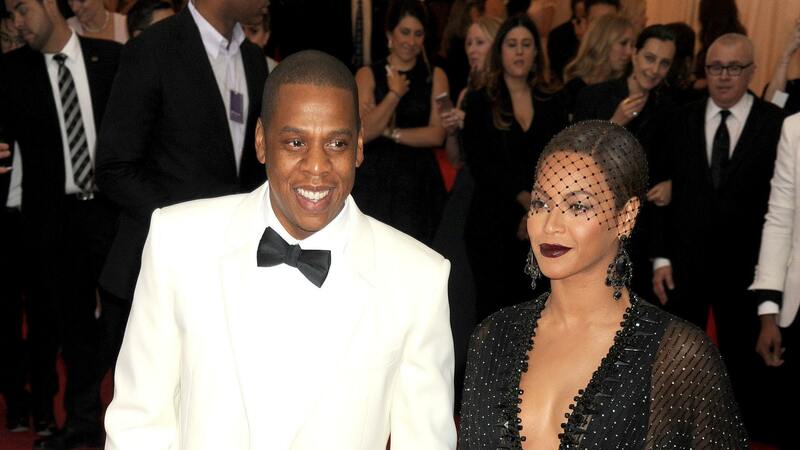 Beyoncé and Jay-Z are planned to take to the stage at around 8pm, with the show ending no later than 11pm. Dont get too Drunk in Love, drink responsibly. You may have 99 problems but dont let getting home be 1, plan ahead. Some belongings are Irreplaceable, only take essential items! Public transport is the best way to get to Hampden. As with last weekend’s Ed Sheeran gig at the national stadium, ScotRail say they’re adding extra carriages to key services where possible to increase capacity. Mount Florida is the closest station to Hampden, with Cathcart and Crosshill slightly longer walks away. Trains are expected to be extremely busy heading to and from the gig, and a queuing system will be in place at Mount Florida at the end of the night. Passengers heading to Edinburgh should be aware that buses replace trains on services between via Shotts and Carstairs, and journeys will take longer than normal. Trains will be running as normal between Glasgow Queen Street and Edinburgh via both Falkirk High and Bathgate. The rail network will also be extra busy with The Rolling Stones playing in Edinburgh on the same night. There are also multiple bus routes that run direct to the stadium from Glasgow city centre. These busses are numbers; 5, 6, 7, 7A,34, 90 and 31. There is no parking at the stadium, or around the stadium. On event days Glasgow City Council impose a ‘major event parking zone’ meaning that only residents can park in the surrounding areas of the stadium. An email sent out to ticket holders said: “At the request of the event organiser, visitors should NOT bring bags into the venue if possible.